The Teenage Mutant Ninja Turles’ IDW relaunch in an oversized, hardcover edition that includes extras that were not included in the comics or the previously released paperback. Extras like Kevin Eastman’s fully illustrated and lettered layouts! Compare and contrast Eastman’s designs with the finished Dan Duncan pages. A huge treat for TMNT and Kevin Eastman fans! 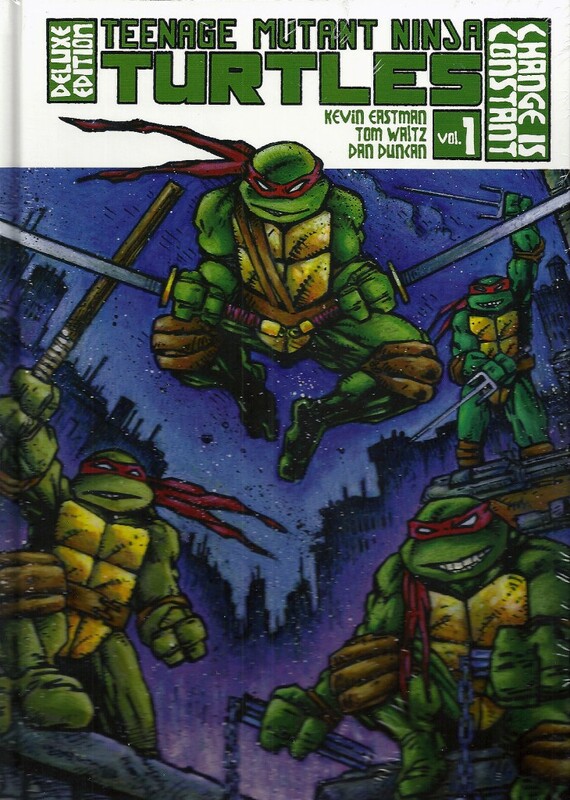 • Includes Kevin Eastman’s layouts for all four issues!